Improve your child's reading skills while they learn about dinosaurs. How did dinosaurs live, and how are they found by humans millions of years later? Every dinosaur bone has a story to tell and palaeontologists know just how to read them. Learn how dinosaur experts dig for prehistoric creatures and marvel at what they unearth. 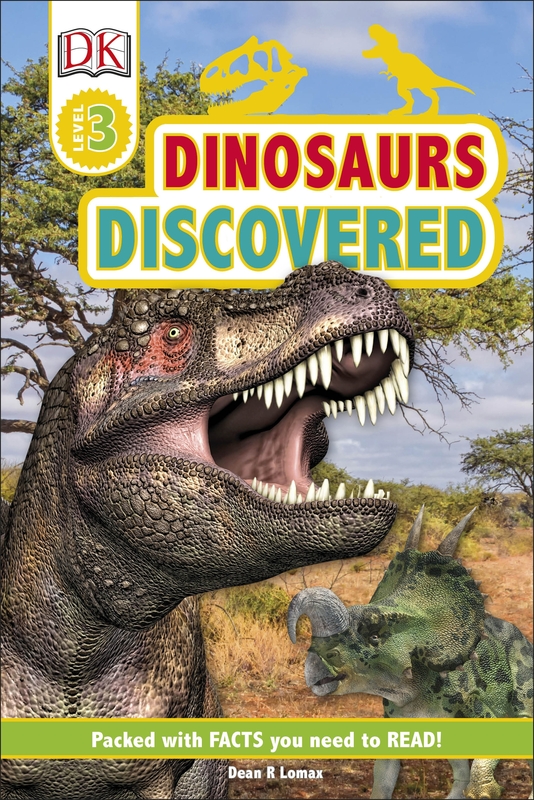 Dinosaurs Discovered is a new title in the exciting and engaging four-level DK Readers series, designed for children beginning to read alone. Developing a lifelong love of reading, DK Readers cover a vast range of fascinating subjects featuring DK's stunning photography, to support children as they learn to read. Packed with fun facts for kids, this innovative series of levelled guided reading books combines a highly visual approach with engaging nonfiction narratives. Reading levels progress from brief, simple text in the early readers, to slightly longer, more detailed nonfiction chapter books, to challenging nonfiction containing rich vocabulary and more complex sentence structures. Fun quizzes boost reading comprehension.